The Baggage Services Agent will provide assistance to passengers whose baggage is mishandled, issue reports, trace and endeavour to restore the missing baggage to the rightful owners immediately. 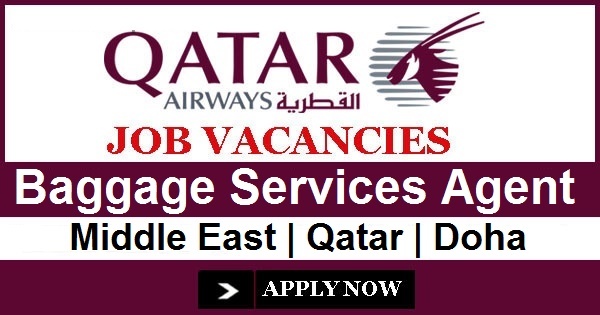 In this role, you will ensure to achieve customer satisfaction while maintaining consistent high quality services to Qatar Airways customers. Perform all operational tasks at arrival and transfer of the baggage area. Creation of missing bag reports – Property Irregularity Reports. Monitor belt / carousel to ensure all customers are assisted at the reclaim area. Highlight if any belt discrepancies to the Senior’s/ Supervisors. Follow up on mishandled cases, contacting customers and update pending cases and follow ups required. Handle call centre with professionalism and follow etiquette to facilitate good customer services. Handle damage bag / open bags / tag-less bags / unauthorised bags / wrong k-edits / cross tagging bags etc. Handle DG items within checked in baggage. Other duties assigned by the supervisor’s / seniors. You must be a High School graduate, preferably with a Tertiary or Trade Degree and have a minimum of 2 years customer services experience ideally in baggage services or within the airline industry. Knowledge of World Tracer and MS Office will be an advantage. In addition, if you possess genuine customer service, good communication in the English language (Arabic an Advantage) and if you have a positive attitude, this is your opportunity for career development in a 5 –Star Airline!